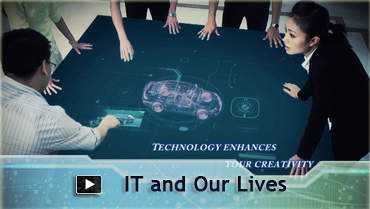 Information Technologies is an exciting field where miracle happens. It is a discipline that has changed the world – several decades ago nobody could imagine that nowadays we could instantly connect with friends on the other side of the globe; It is a discipline that is changing the world – the latest advances in smartphones, cloud computing and other technologies are expected to bring revolutionary changes to the way we live, work and communicate with others; and yes, it is a discipline that WILL change the world. At the Department of Computer Science (CSD), we provide all-rounded teaching and training measures in order to transform all potential youngsters into future innovators. If you are longing for a life that can change the world, JOIN US NOW! Our programmes follow IEEE/ACM’s model curriculum and provide students with training of international standard in Computer Science and Information Systems. The curricula have dual focuses on conceptual knowledge as well as systems development and internship opportunities. Students can at the same time learn project management as well as communication and interpersonal skills. Specializations such as Health IT, Web Technology and Data Engineering, Digital Media and Mobile Technology are offered so that students can better prepare themselves for career development or further studies. If you want to learn more about our programmes, please click here.